A beautiful and sensitively observed still life by the Pre-Raphaelite master. 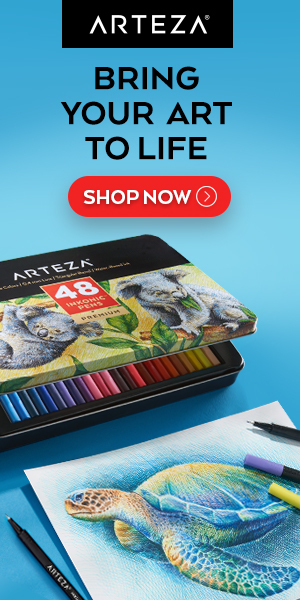 It appears to be done in a watercolor technique that combines the intricate application of drybrush and stipple. Thanks for this timely post. 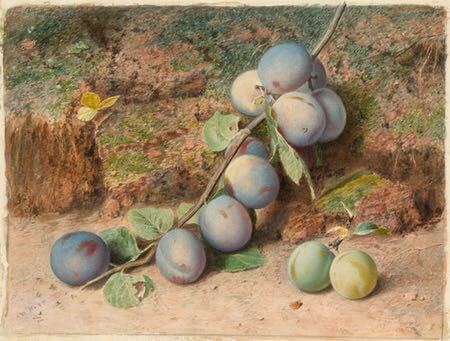 Lovely bloom on those plums, The detail is almost overwhelming in the work of the Pre-Raphaelites, isn’t it? I am up to my eyeballs in watercolour, preparing for a botanical show atm, I immediately noticed the tiny dashes, and thought ‘you’re ALLOWED to do that?’ And why not? It’s a good idea to avoid picking up the bottom layers. I am going to have a wee play and maybe do a little of this technique for detail/ texture and hairy underside of leaves if it seems to create the right effect. Glad you found the post helpful, Kate. See also Liz Shippam. Thanks for the link Charley. Liz’s work is astonishing.